Hello guys! evening and a happy sunday to you all. Welcome to another wonderful section of my tutorial post on CSS, we have really come a long way on CSS and i want to say a big congrats to you all. In my last tutorial i talked about CSS padding, now in this tutorial post i want to talk about CSS cursors. One good usage of this property is in using images for submit buttons on forms. By default, when a cursor hovers over a link, the cursor changes from to a pointer to a hand. However, it does not change form for a submit button on a form. Therefore, whenever someone hovers over an image that is a submit button, it provides a visual clue that the image is clickable. 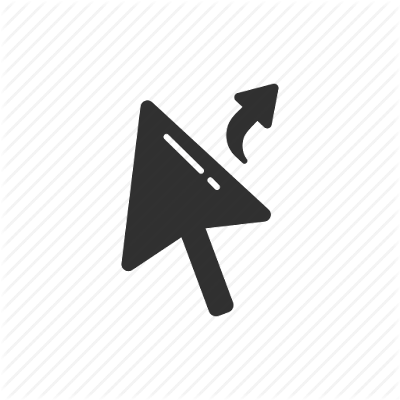 Shape of the cursor depends on the context area it is over. For example, an ‘I’ over text, a ‘hand’ over links, and so on. A crosshair or plus sign. A pointing hand (in IE 4 this value is hand). The cursor indicates that an edge of a box is to be moved right (east). The cursor indicates that an edge of a box is to be moved up and right (north/east). The cursor indicates that an edge of a box is to be moved up and left (north/west). The cursor indicates that an edge of a box is to be moved up (north). The cursor indicates that an edge of a box is to be moved down and right (south/east). The cursor indicates that an edge of a box is to be moved down and left (south/west). The cursor indicates that an edge of a box is to be moved down (south). The cursor indicates that an edge of a box is to be moved left (west). A question mark or balloon, ideal for use over help buttons. The source of cursor image file. NOTE: You should try to use only these values to add helpful information for users, and in places, they would expect to see that cursor. For example, using the crosshair when someone hovers over a link can confuse the visitors. Alright guys, we have come to the end of this tutorial on CSS cursor. Feel free to ask your questions in any area you don't understand properly.